Soundtrack by En Vogue. “Never Gonna Get It,” indeed. What’s with the mismatched socks, bro? Even by 1987, a relatively early point in their console careers, Sega had churned out a handful of side-scrolling beat-em-ups – none of which were good. Black Belt turned “Fist of the North Star” into “Just a Japanese Martial Artist Looking For a Fight, #673.” Sukeban Deka II had limited brawler portions attached to a bizarre Japanese adventure/dungeon crawler based on the sequel to a TV series originally based on a manga. Wowzers! My Hero is the worst beat-em-up I’ve ever played, thanks to the Fisher-Price graphics and the weakest one-and-done “hero” to ever emerge from brawler-dom. Then there’s the infamously named Dragon Wang. The SG-1000’s lone beat-em-up was known for its overwhelming difficulty, slow-moving main character, and sneaky trap doors that, once triggered, would lead you back to earlier stages. 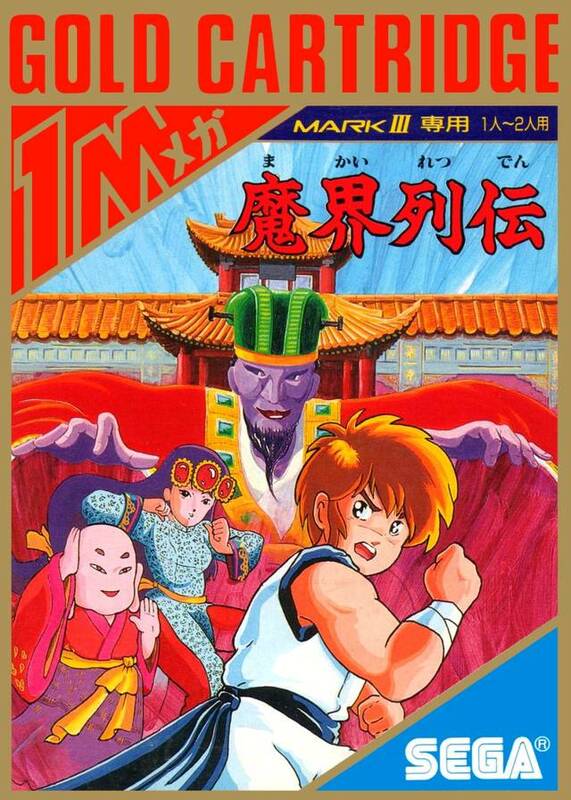 Naturally, Sega made a sequel for the Mark III, Kung Fu Kid. Despite its lineage, the title is the first semi-enjoyable beat-em-up to emerge from Sega’s overworked development teams. Hopping ghosts and bamboo forests are a deadly combination. Kung Fu Kid places you back in the tight, binding footwear of Master Wang. He’s got that same “lonesome dove” kicking style that he wore so well in Dragon Wang, but with the added bonus of being able to jump like a chimp. He can also walk faster than his previous zero miles per hour, though jumping constantly is still the best way to get around. 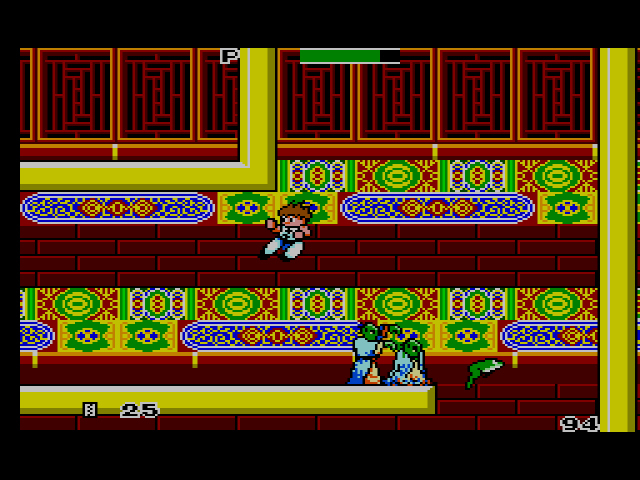 As in Dragon Wang, enemies clone themselves, then bum rush you; that’s just how brawlers operated in a pre-Double Dragon world. 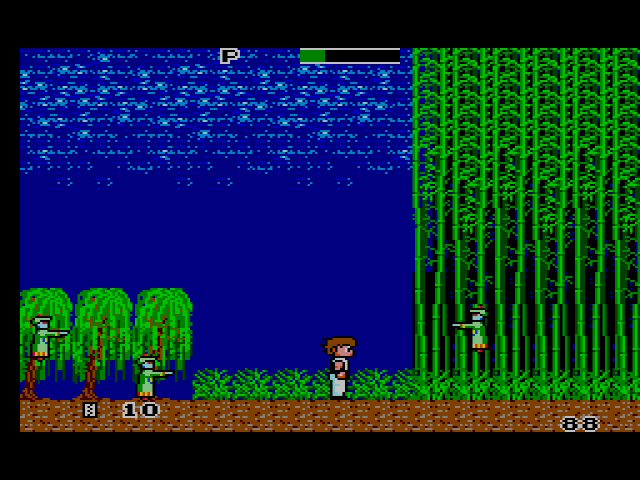 Unlike Dragon Wang, Kung Fu Kid has open environments that allow Master Wang to jump over the enemies and their clones with ease. By avoiding the enemies instead of attacking them directly, they pile up and chase you, but by jumping constantly, Wang will eventually run them off the screen. When you have to hit them, try to aim for two or three at a time; your kicks are strong enough, if you believe in yourself. The bosses have great designs – ghost banshee, large frog, creepy wizard, ninja brothers, etc. – but are easy to defeat once you learn their patterns. The frog in particular just requires five fast low kicks before he croaks (my sincerest apologies), thus making him the easiest boss fight I’ve had in a fortnight. Still, I always looked forward to the boss battles, if only to witness the inspired craziness Sega hurled Wang’s way. Wow, everybody really is kung-fu fighting. 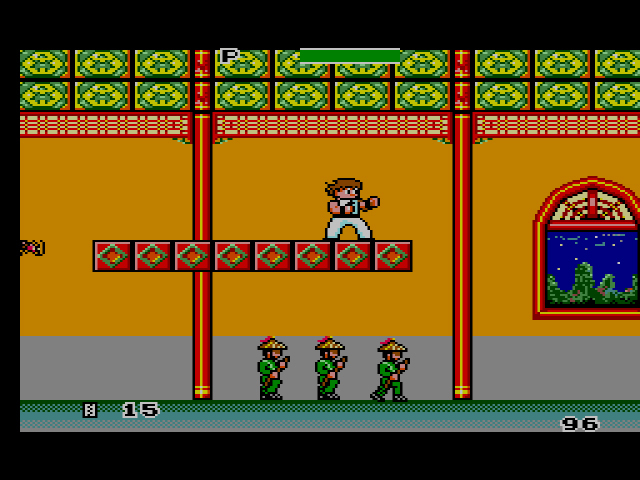 Along with kicking and jumping, Master Wang can use Power Talismans dropped by enemies. Talismans will knock back and destroy two or three enemies at a time, which is great for the few claustrophobic areas of the game. Wang also wall jumps with relative ease, a surprising find in a game with few surprises. I can’t verify this for certain, but I’m not sure there are any earlier examples of wall jumps found in games. 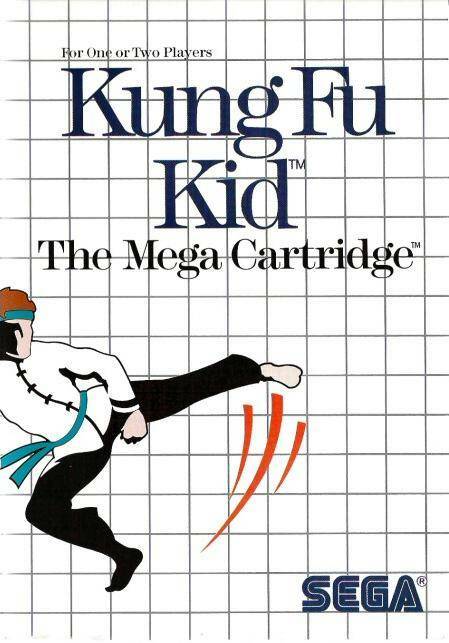 Strider emerged in 1989, Ninja Gaiden came out in 1988, Kung Fu Kid is 1987. Can anyone think of any earlier games with characters who could wall jump? Let me know in the comments. Couple zombies, a frog, psychedelic wall patterns, the usual. Kung Fu Kid could use a touch more difficulty (the first four stages can be overcome in a few minutes, while the last three just require memorization), but the gorgeous environments, solid controls, and well-paced level progression make for an above-average experience. I know that’s not the highest of praise, but if Sega’s earlier attempts at brawlers prove nothing else, it’s that I’ve played worse. After so many failed attempts, Sega finally has their answer to Irem’s Kung Fu. All the other frogs with their pumped-up kicks better run, better run. Like plopping a Tiny Toon into a Jackie Chan film. I know what you’re thinking: Master Wang is cool and all, but Kung Fu Kid would be a true classic if a smarmy frog was the main character. 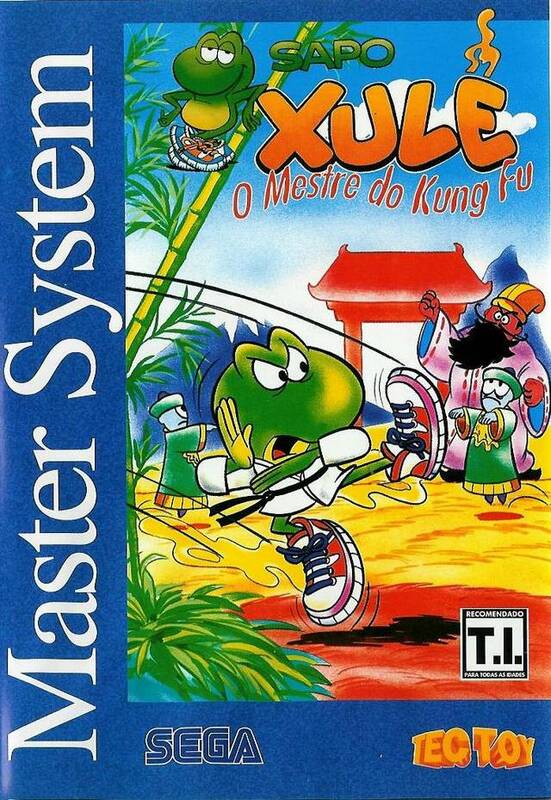 Sapo Xule O Mestre do Kung Fu is the game for you then, a lazy re-skin of Kung Fu Kid with the Brazilian cartoon character, Sapo Xule, replacing Master Wang. If this frog looks familiar, that’s because he also appeared in a re-skin of Astro Warrior entitled Sapo Xulé: S.O.S. Lagoa Poluída. Controlling a frog underwater while shooting dirty shoes made an interesting game out of the rote Astro Warrior. 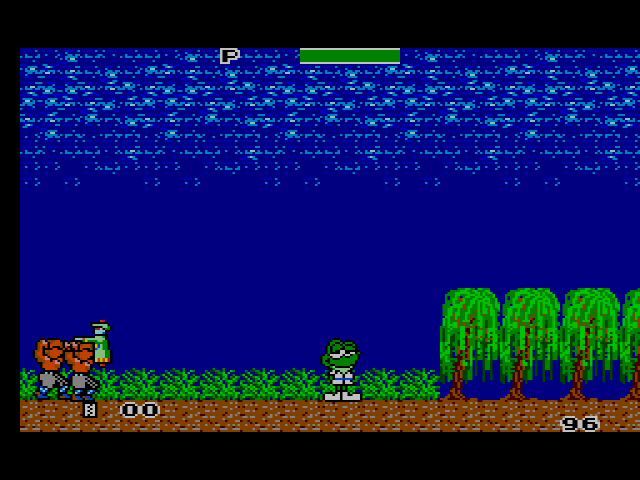 Inserting the smirking Sapo Xule into the middle of Kung Fu Kid with no additional enemy design or environmental changes gives the production an inconsistent tone. On one hand, you have a frog that somewhat resembles Bubsy wearing a gi. Hilarious! On the other hand, you have ancient Japanese evil trying to attack said smirking frog. Confusing! Stick with Kung Fu Kid. I really liked this game when I used to have it. What I always liked was the verticality of the game and levels. Gigantic leaps, wall jumps, multi screen levels. And the art. I will forever remember the Dragon mural from this game. The closet I think of a game like this on the NES is maybe Legend of Kage. With its vertical levels and large jumps. I really enjoyed this game.mwasnt my favorite but was an fun platformer/ fighter with cool bosses,. I almost wish I hadn’t heard that this was a sequel because that first really didn’t look too good. I guess Dragon Wang was appently retired after this game. I won’t remember any sequels after this. Legend of Kage is a good reference point. What a crazy trip that game was. Master Wang – that’s never getting old. Like you say it is certainly a step in the right direction but I can’t help but feel that the look is somewhat lazy. While I am not the biggest expert on these types of games I do think that Shinobi (which only came out a few months after this) seemed worlds apart in look and control and that perhaps what Sega needed was a fresh approach to the genre. Considering some of the great games that came out after it seems like that’s what happened. Never played the original (*gasp*), but I loved Revenge of Shinobi for Genesis. My favorite Shinobi just might be the arcade Shinobi. So good. That game plays so tight and is so good. SMS version is good but I love the arcade. ROS is a better home game I supose. But even then my favorite console one is Shinobi 3. Come to think of it, I have played the arcade Shinobi in the Ultimate Genesis Collection for PS3. Man, that’s a great compilation of games. Haven’t played Shinobi 3, though. This review came shortly before I watched a longplay of Rastan Saga for the MSX, which features a wall jump mechanic. I knew that must be from around the same time, so I consulted the usual sources. Apparently, the MSX (also the Master System) version appeared in 1988. Interestingly, the original arcade game, released sometime in 1987, did NOT feature a wall jump. Obviously this is little help pinning down the origins of the mechanic, but it suggests that it had some contemporary influence, at the very least. It’s not such a stretch that, before or while porting Rastan Saga, the developers saw this game and had an “Oh, why didn’t we think of that?” moment. ’87/’88 must have been the wall jump’s coming-of-age. This was another game I play the heck out of. I remember getting so angry with this game. After owning it for about six month I finally completed it. I don’t think I played it much after that but I still have great memories of it. I think I was the only kid in my school who had a Master System so they would all come over to my house and play when they got sick of the NES games they had. For some reason they all wanted to try this game first. Either way great review! I would had given the game a B back then also. Great review!… And of a game I’d never heard of.